An interesting article has been written based on research by Accenture. 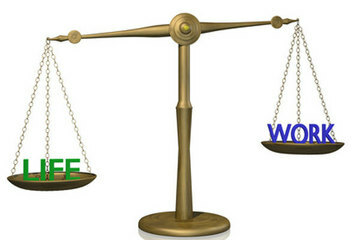 The research found that both men and women define a good work life balance as the key to a successful career. It appears that a changing attitide from employers and new technologies are allowing professionals to build a career on their own terms. New technologies allow flexible working and the ability for professionals to work smarter. The research has shown that this flexibility can allow you to support your family at key times and then work more unsociable hours to catch up. The significant point is that professionals do not resent this as they feel more in choice in terms of their work life balance; even accepting that conference calls may have to happen during paid leave. I champion the changing attitudes of employers to support this way of working and hope it’s a trend that continues. What can you do today to improve your work life balance?